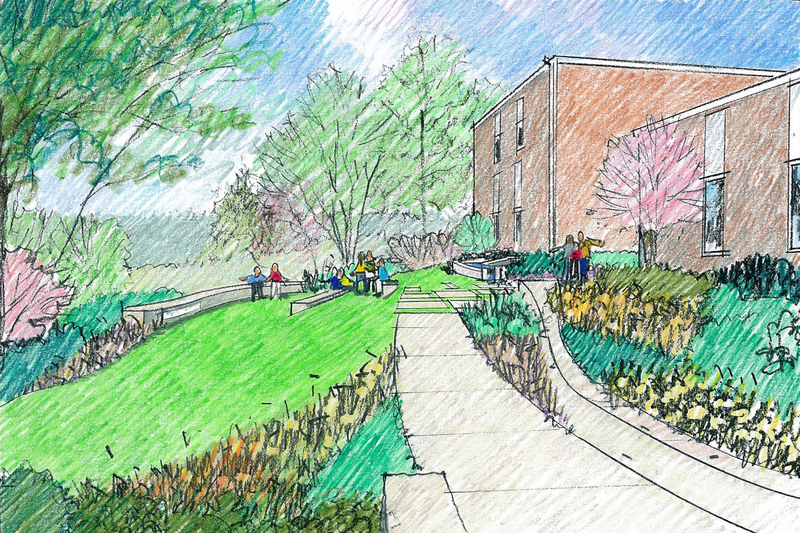 PLUSEN worked with St. Anne’s School of Annapolis, a pre-school through eighth grade school, to create a master plan for their campus. 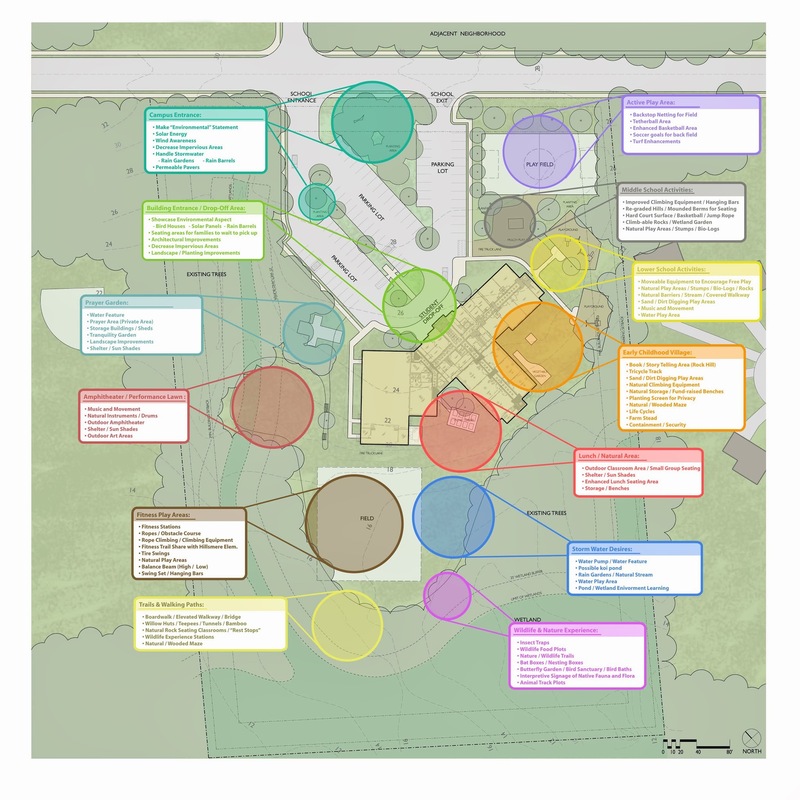 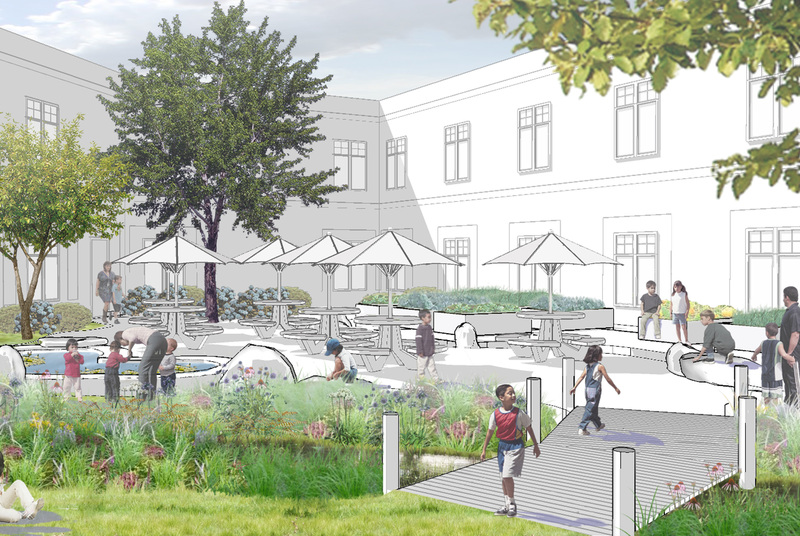 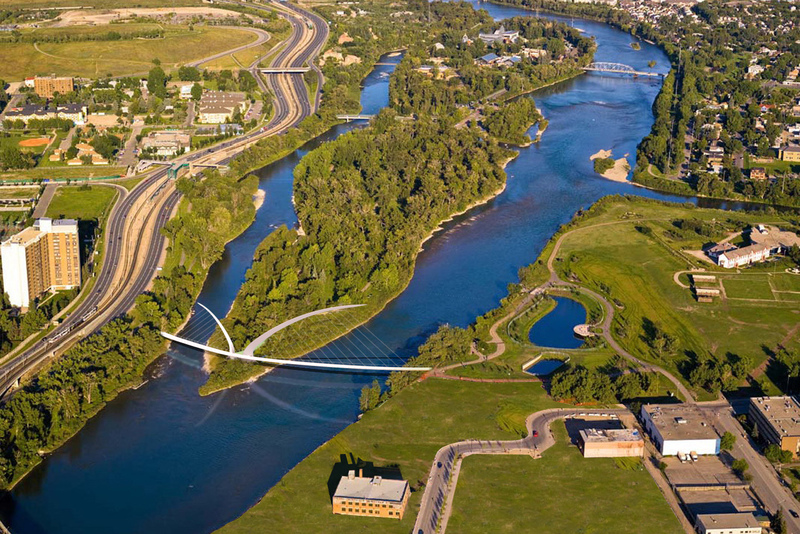 The master plan is heavily influenced by the notion of an environmental learning experience and outdoor activities. 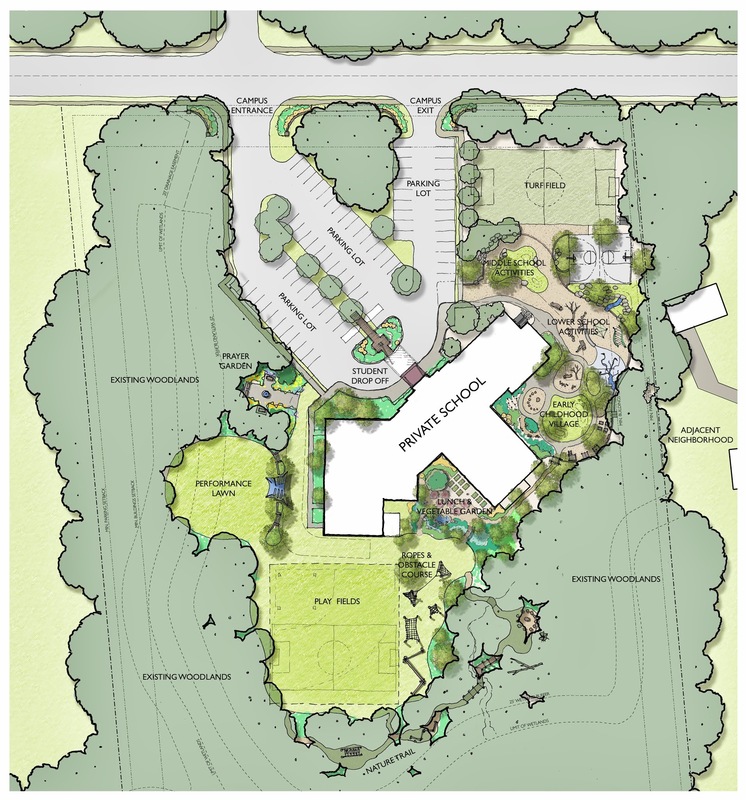 The outdoor spaces/classrooms serve as a natural extension to the schools learning experience, providing a place for not only play but outdoor instruction, environmental education, and hands on learning and exploration. 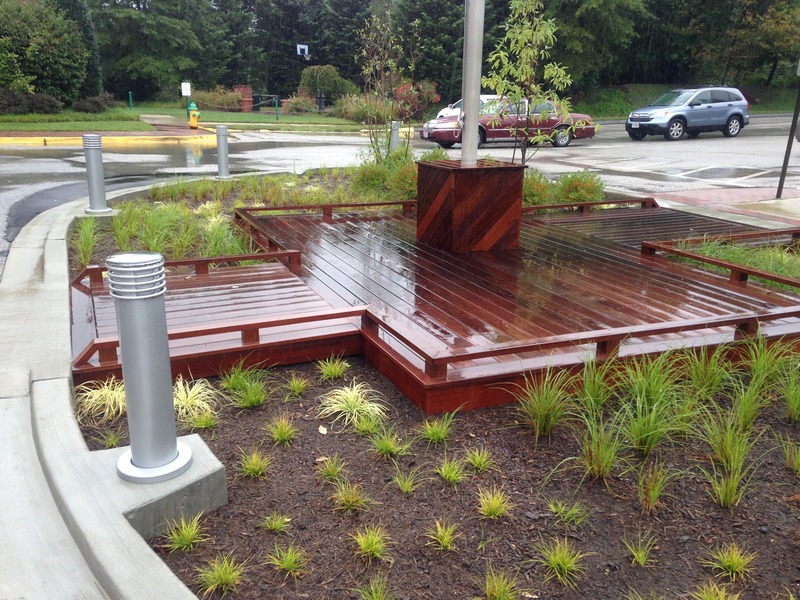 The green school includes rain gardens with native plants local to the Chesapeake Bay Area, bio-swales, wind turbines, solar panels, vegetable gardens, composting centers, green roofs, interpretive signage, native planting and wildlife gardens, and the use of recycled, reclaimed, and environmentally conscious materials. 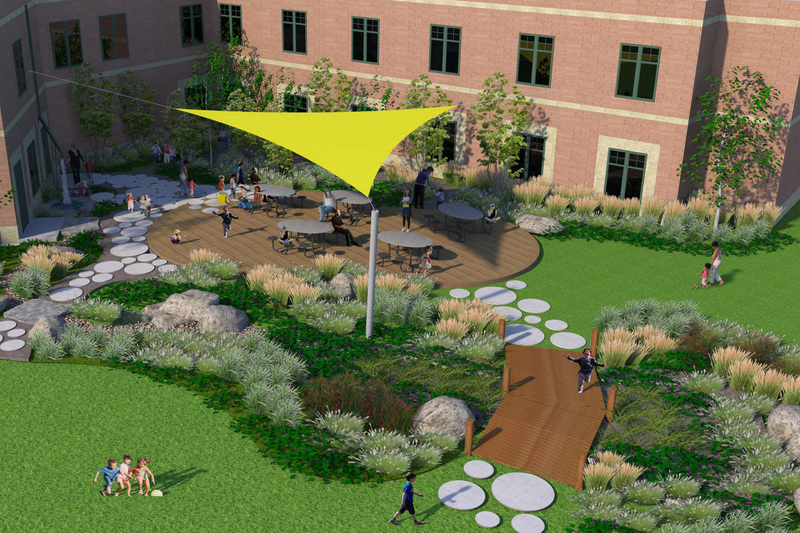 The dynamic and functional campus also features a new entry court featuring a deck over a rain garden, an early childhood village, a ropes and obstacle course, a performance lawn, athletic fields, and lower and middle school outdoor activity areas.